Diane provides strategic direction, planning and execution support to HQSI’s project teams. 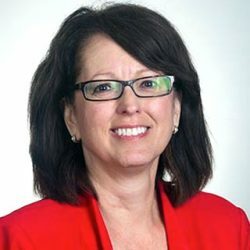 She is also a designated innovation spread advisor under HQSI’s quality improvement organization (QIO) contract with the Centers for Medicare & Medicaid Services; in that role Diane brings knowledge to every QIO Aim (or project) team within the enterprise. Diane also helps share pertinent knowledge and information with stakeholders across the state and helps spread healthcare innovations and lessons learned. Diane has been with HQSI since 2009. Prior to working for HQSI, Diane led communication, change management and process improvement teams for various non-profit and for profit companies.